The flight from Los Angeles to Liberia, Costa Rica takes approximately eight hours with a layover in Miami, Florida. If a direct flight or layover in Texas is available, it would have cut the flight down to 5 to 6 hours. We arrived at Liberia from Los Angeles International Airport (LAX) at 7PM, the weather was warm and dry, it reminded us of a warmer version of Southern California. We picked up our prearranged rental car at the airport. We went with a US based company for easier communication once we are back in California. Usually when we rent cars domestically, we opt to waive the car insurance because most major credit card companies covers vehicular insurance as long as you use the credit card to pay for the rental car. Since this is an international rental, we had to call our credit card company and confirm they will cover for insurance in Costa Rica. Turns out the credit card coverage varies from country to country. Liberia is the capital of Guanacaste province located in the pacific coast of Costa Rica. Even though it is the capital of the province, it has a small town feel. The town is usually a short layover for many visitors on their way to the more alluring beaches and rain forests nearby. We arrived near dinner time and stayed at the Hilton Inn close to the airport courtesy of our travel buddy who had tons of travel points from work. 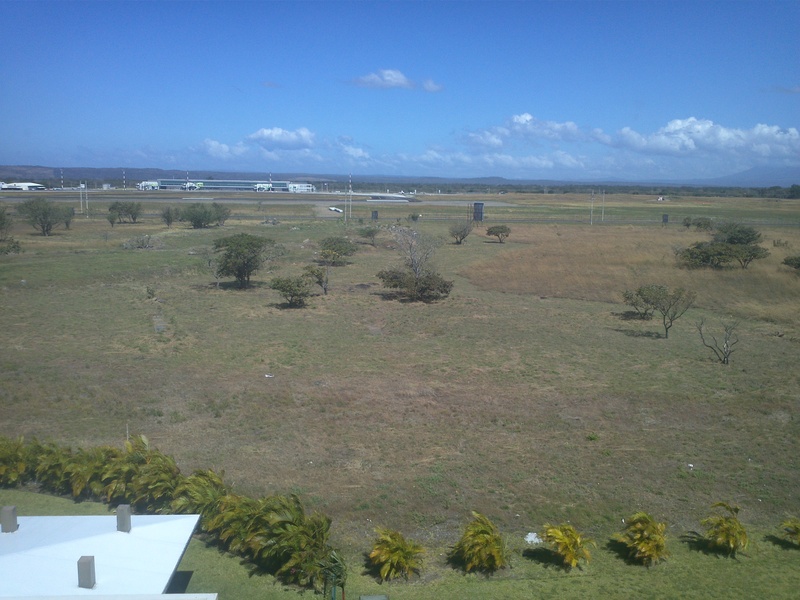 The surrounding area of the hotel is flat with open farm lands waiting for future development. Louis even gave me a manual transmission driving lesson around the hotel since there were so little traffic after hours. We dropped off our bags at the hotel and ventured into Liberia to search for dinner. Even though the road to town was ill-lighted, the few signs along to way directed us into town without any detours. As we drove down the main street, I made mental notes of the grocery store to pickup food and water for the next day. We parked across the street from a city park and walking into a local food joint. We choose to have cascados for dinner. Casados are a typical local dish consist of meat, beans and rice and fried plantains. Every place makes the food a little differently, it is a cheap and economical way to cover your meals when visiting Costa Rica. My favorite portion of the meal is the friend plantains, its sweetness is the perfect way to end a meal. After our dinner, we headed back to our hotel for the night and planned to head to La Fortuna area to visit the Volcan Arenal the next day. This entry was posted in Travels and tagged Costa Rica, Latin America, Liberia, Travel by hikenoworklater. Bookmark the permalink.